I am looking forward to this week's Community Conversation on Community Happiness and Prosperity at TMM Family Services, Inc. and the fall conversations with UA Graduate College and the Pima County Public Library who is collaborating with SPS and its Downtown Lecture Series on Happiness. 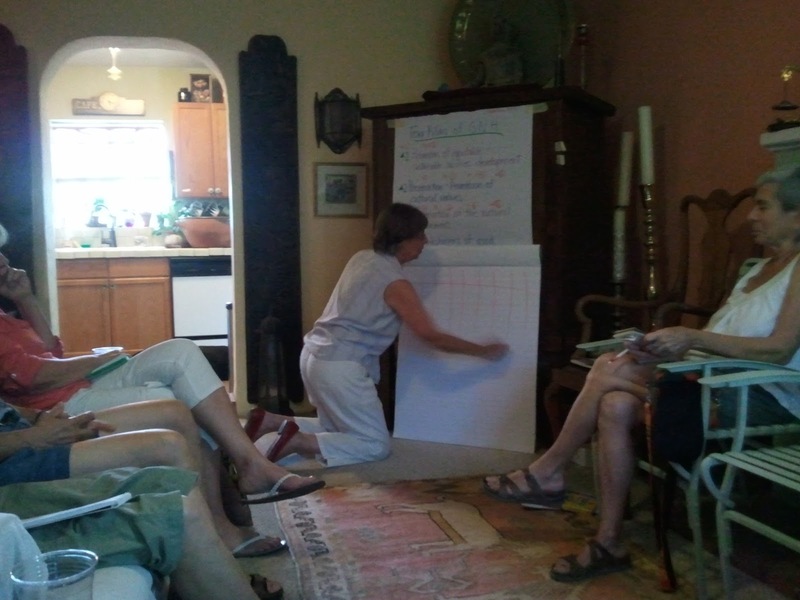 Here's a photo from July Community Conversation and book House Party, located in a Ward III neighbor-colleague's home. We had a lot of fun, food and ideaing.